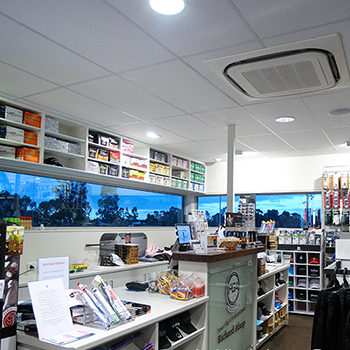 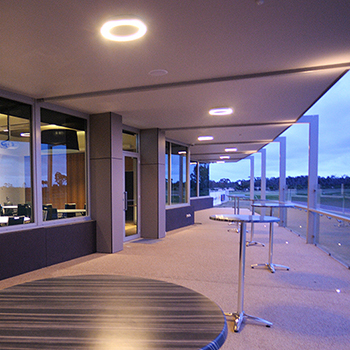 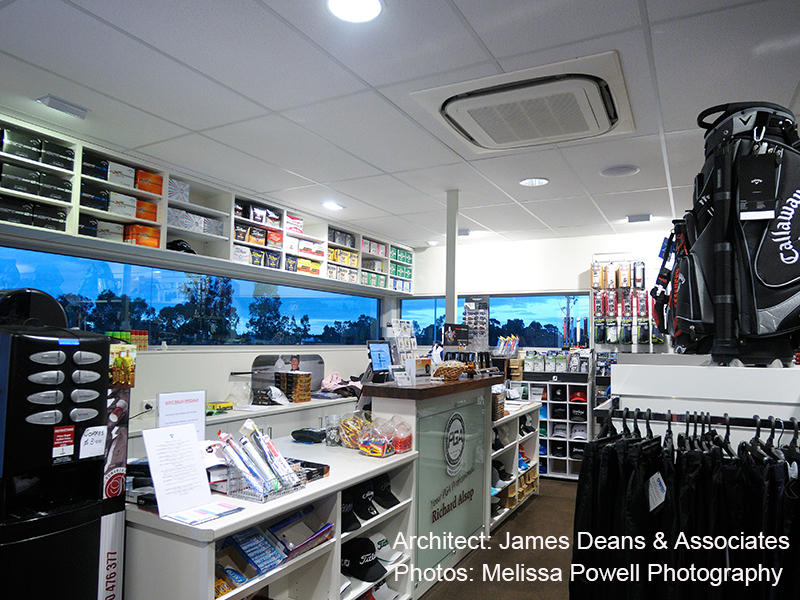 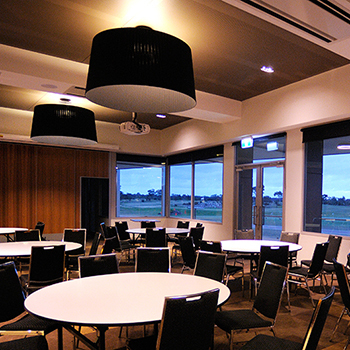 Sonic Lighting was pleased to design and supply the lighting for Horsham Golf Club. 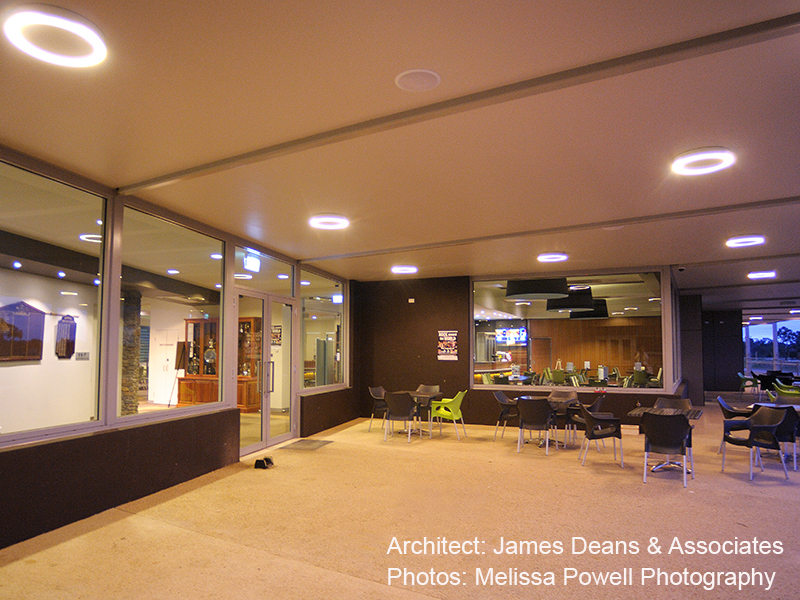 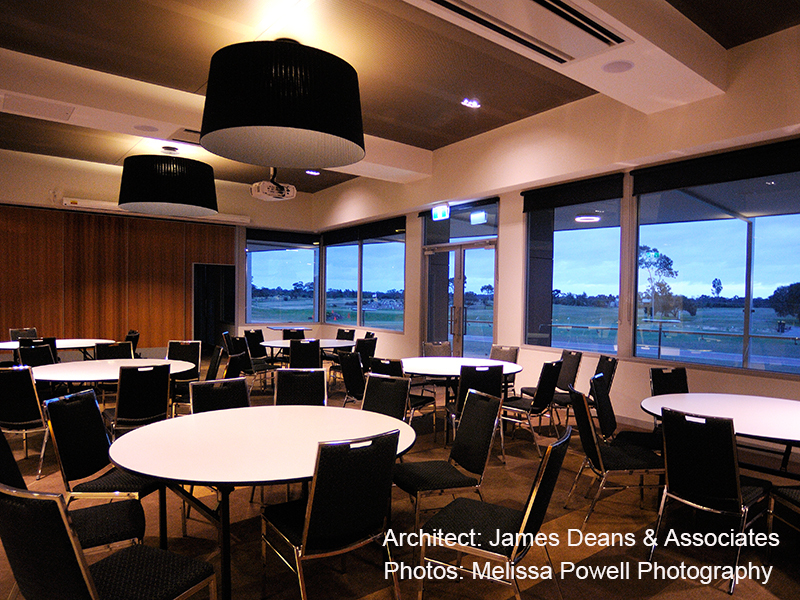 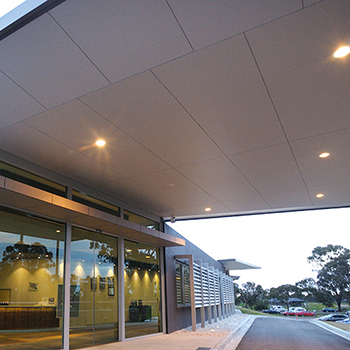 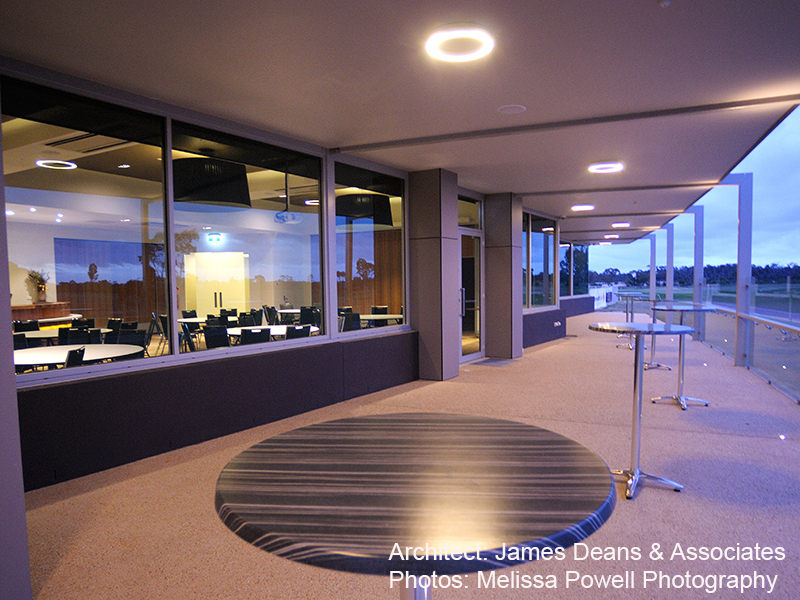 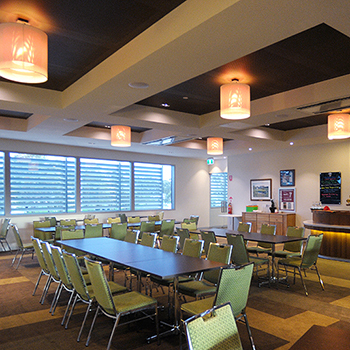 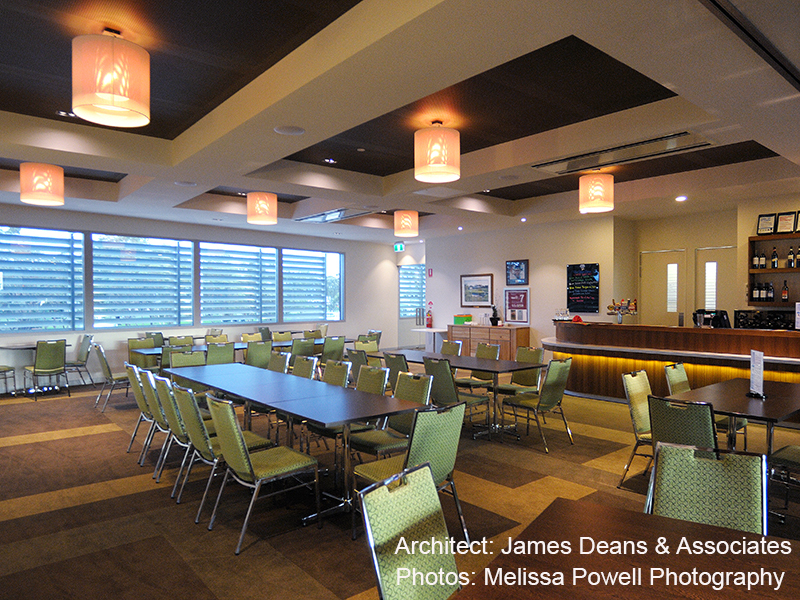 The club recently rebuilt after the club house was destroyed in the devastating 2009 bushfires. 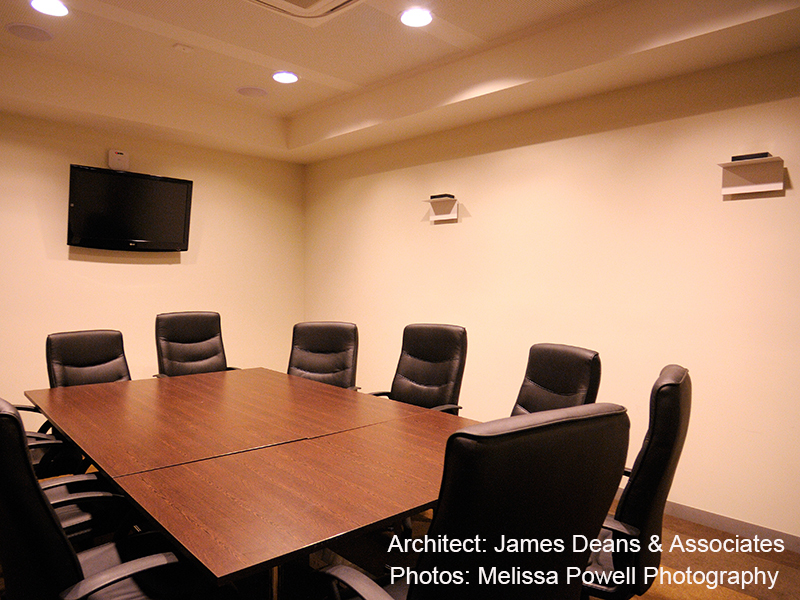 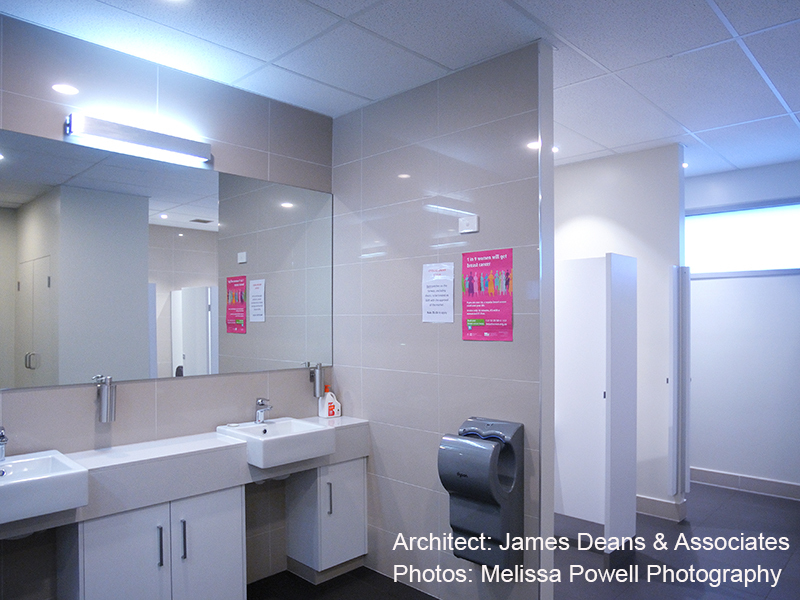 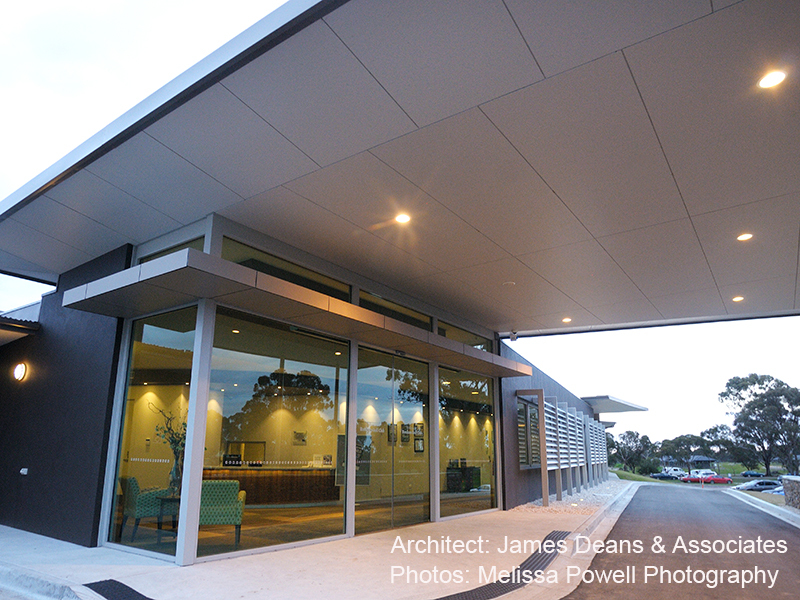 This project was designed by James Deans & Associates and all are extremely pleased with the final results. 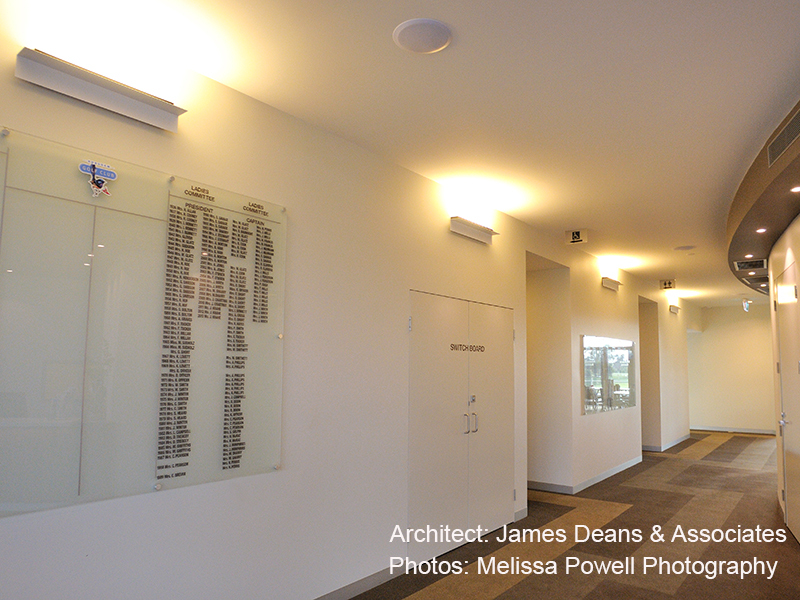 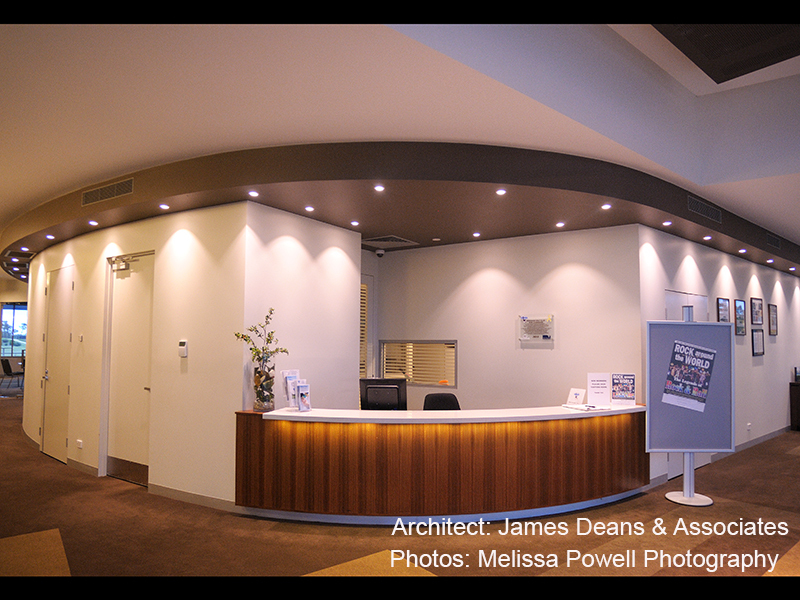 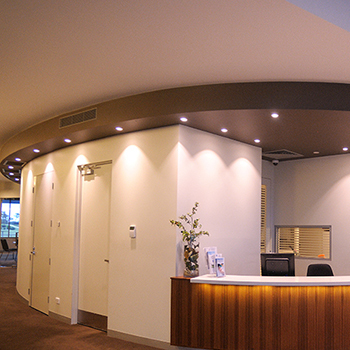 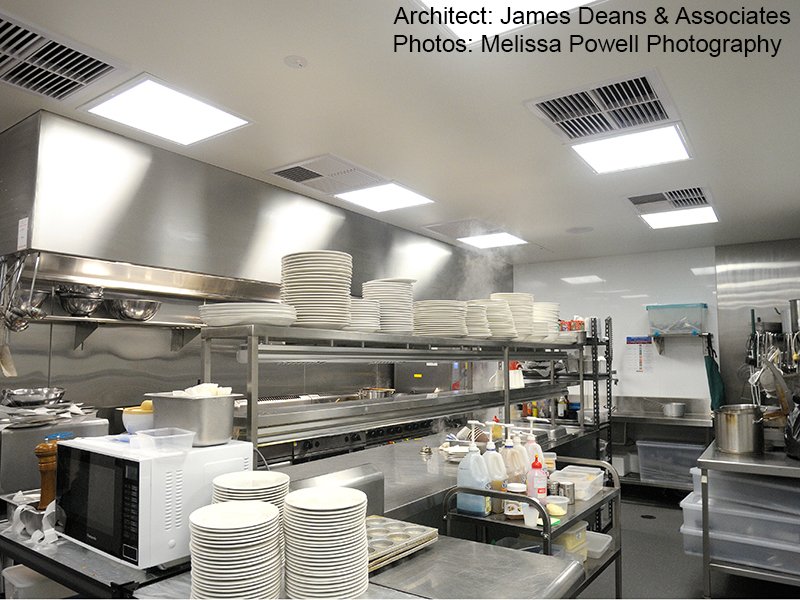 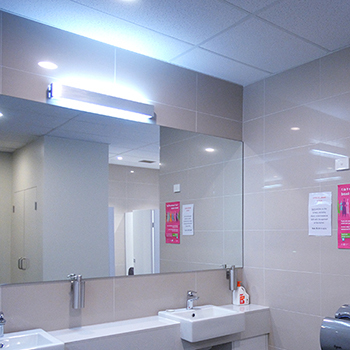 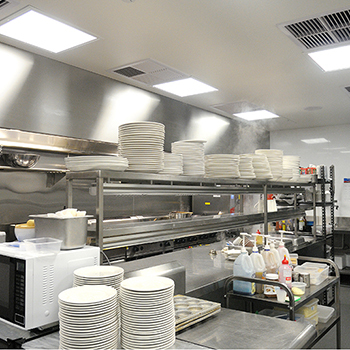 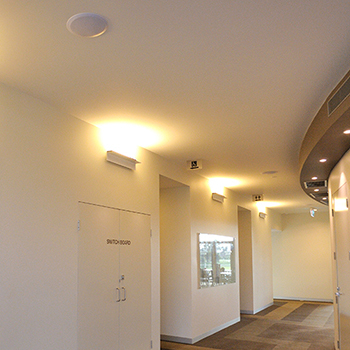 A wide range of recessed ceiling lights was used throughout the building (PRO downlights, Arkos DOT, Minifox, MAX, Multi and Radar). 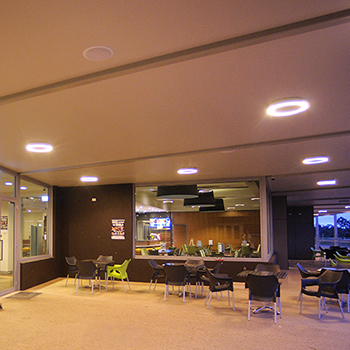 The Amigo ceiling light from Santa & Cole makes a statement in the alfresco dining area, and the dining areas feature GT1500 and Moare pendants. 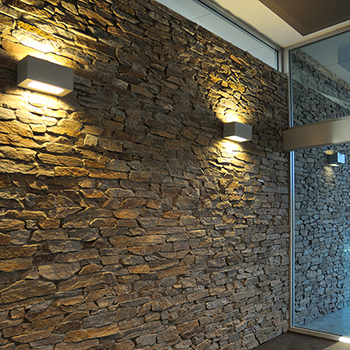 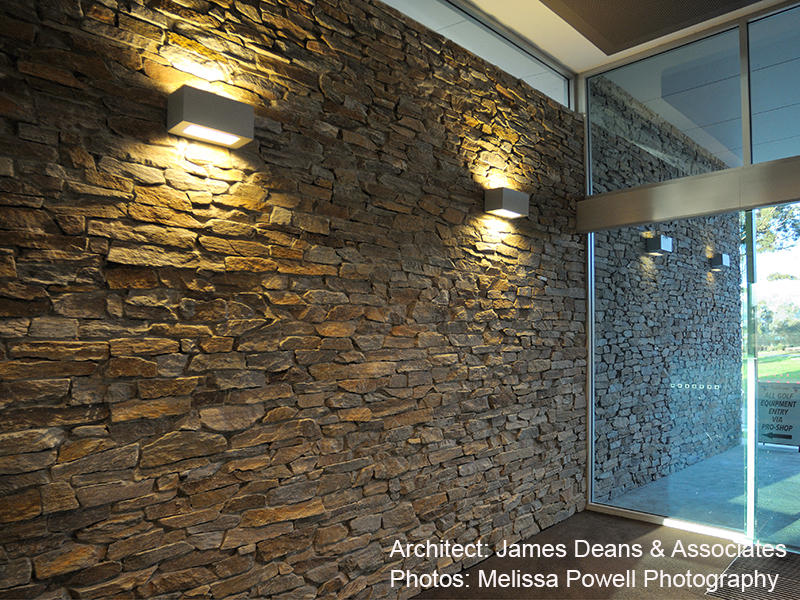 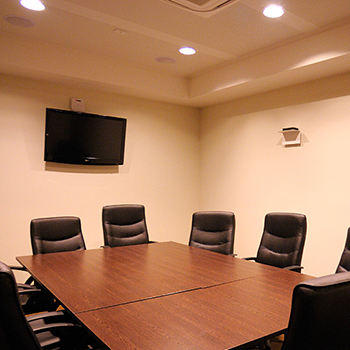 Special 26 up and down lights highlight the stone entrance wall and Z-Front wall lights appear in corridors and meeting rooms.